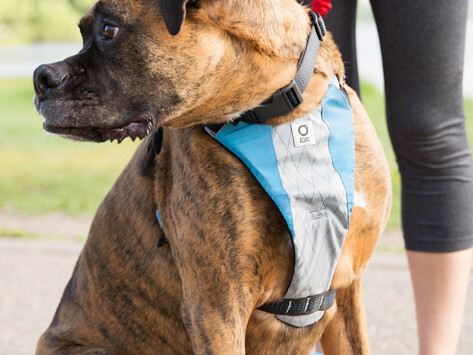 Harness your pup’s energy. 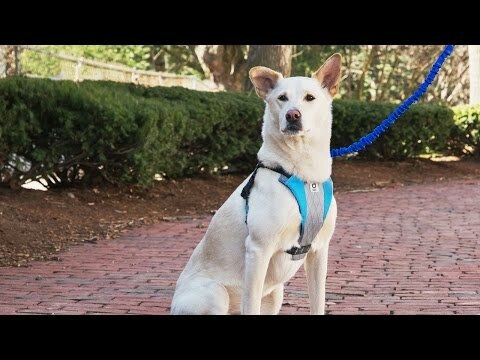 This Made in the USA, water-repelling, light reflective harness keeps your dog comfy and reduces pulling on walks. Maker Ken Goldman wanted the perfect gear for his dog Bauer—he took a lot of his cues from rugged, weather-resistant camping accessories. He made Stunt Puppy gear virtually indestructible. Dimensions: Small: 9" x 6" x 0.25"; Medium: 11" x 7" x 0.25"; Large: 13" x 9" x 0.25"
My son has a Wolf/dog and this is a great way to walk him.